Buy 2 packs & SAVE £2! Imagine the intense perfume and rich flavour of wild strawberries combined with the fruit size of modern varieties and you have strawberry Mara des Bois! 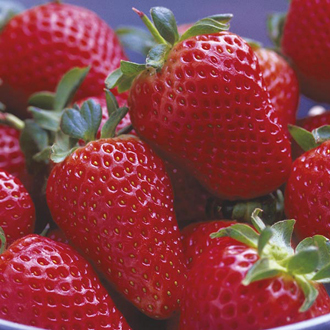 The medium size fruits of this ever-bearer strawberry are a true treat and one which no strawberry fan will be able to resist. Truly scrumptious! Recent trials have shown a yield of upto a kg per plant! Delivered as dormant, bare rooted plants.